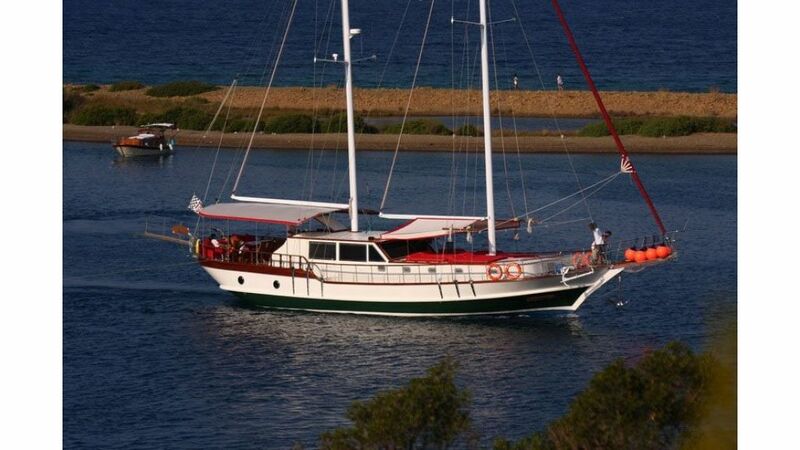 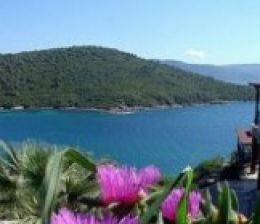 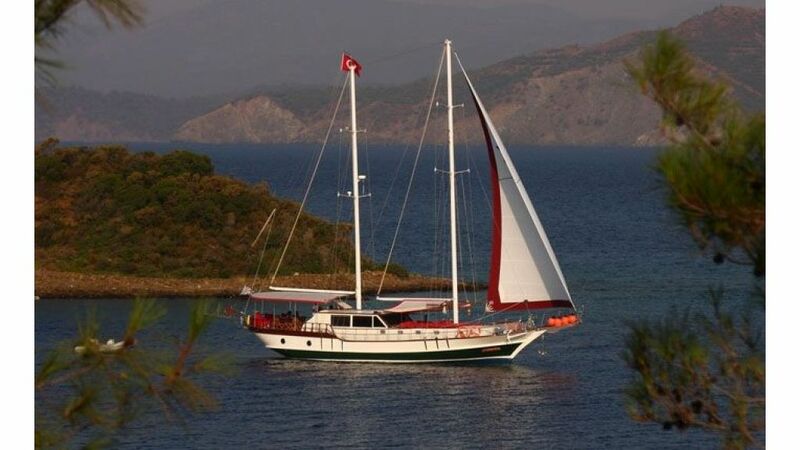 She was built in Fethiye and launched in june 2008 to coomodate three couples plus the crew, very special and clean boat . 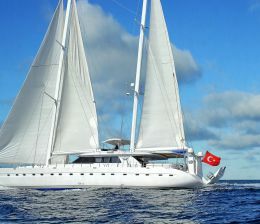 must see before buying a turkish gulet. 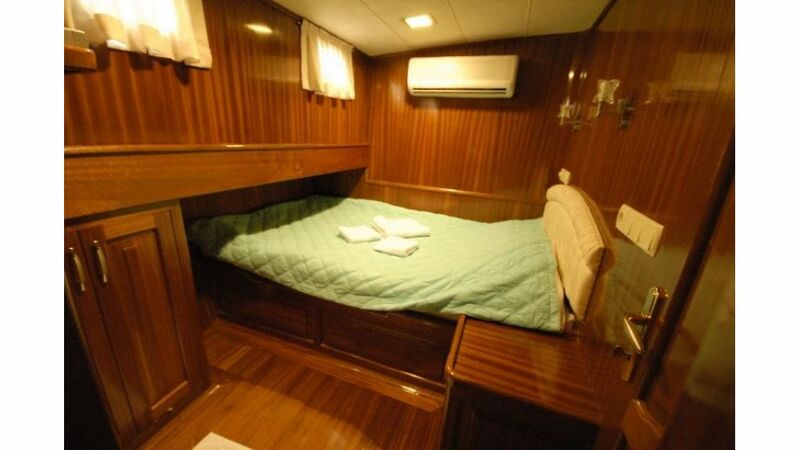 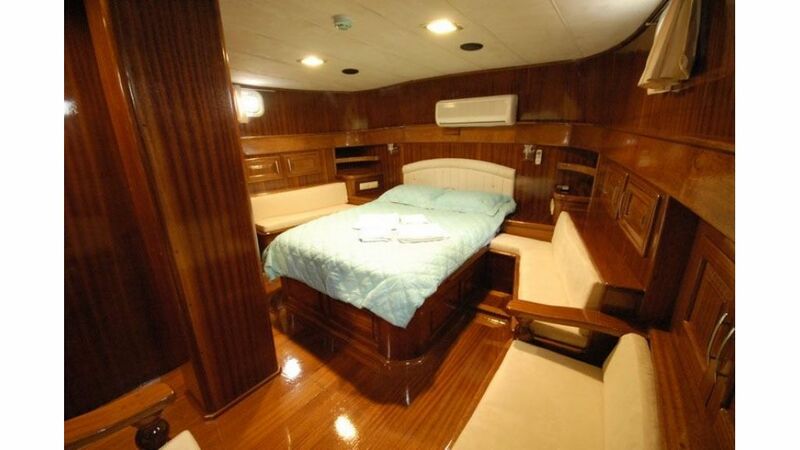 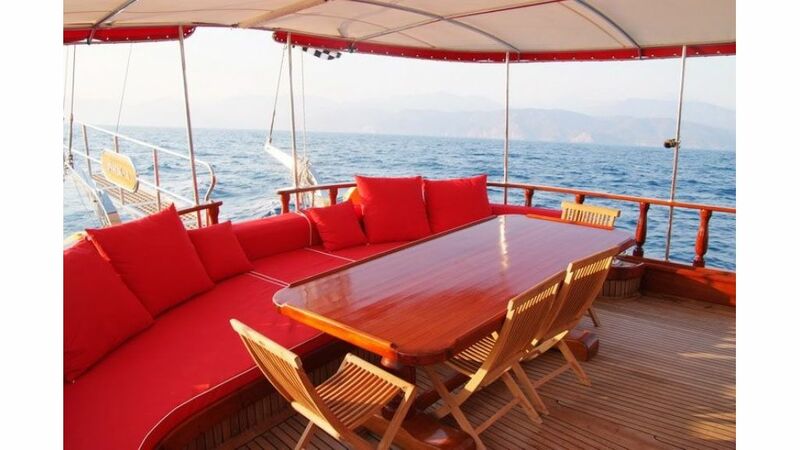 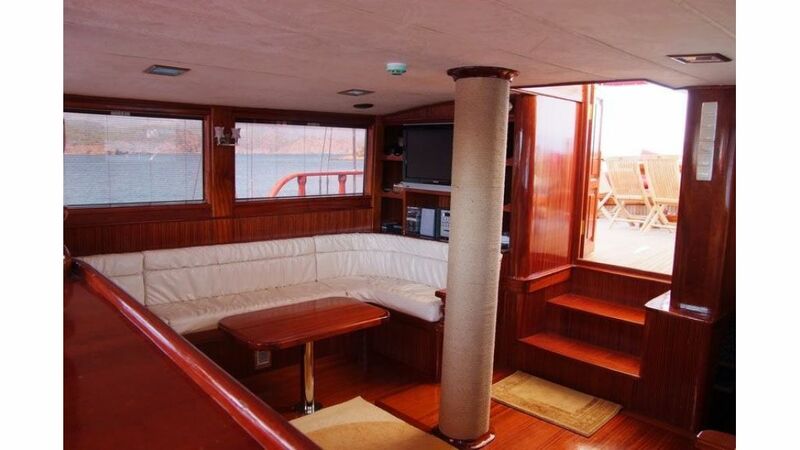 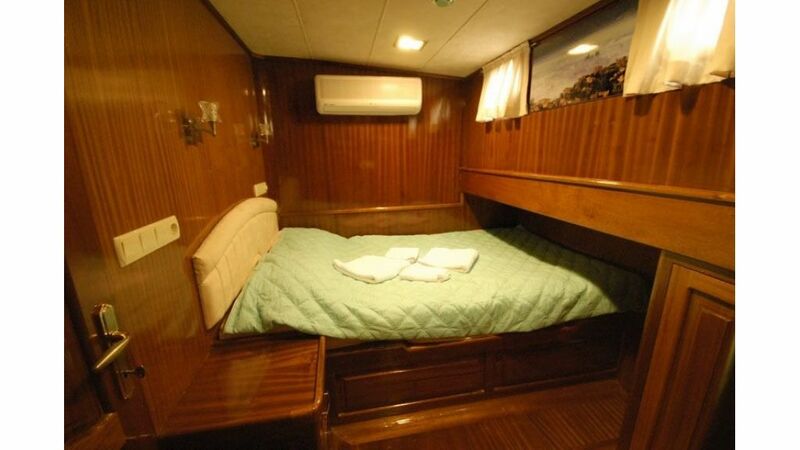 Her owner has put his taste and money to make a wooden sculpture out of Mahogany timber, full of amenities and tastefully decorated very comfortable and sea worthy round stern gulet . 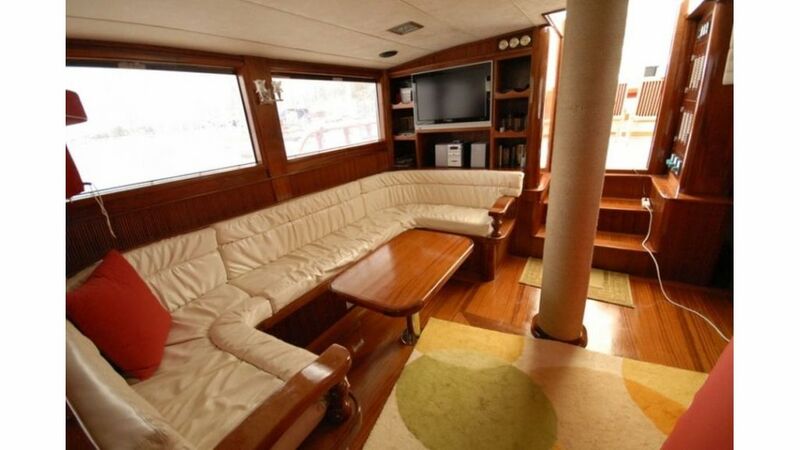 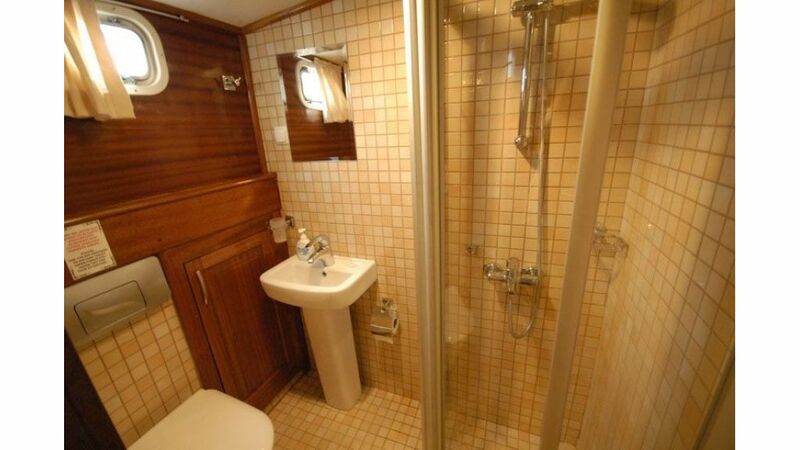 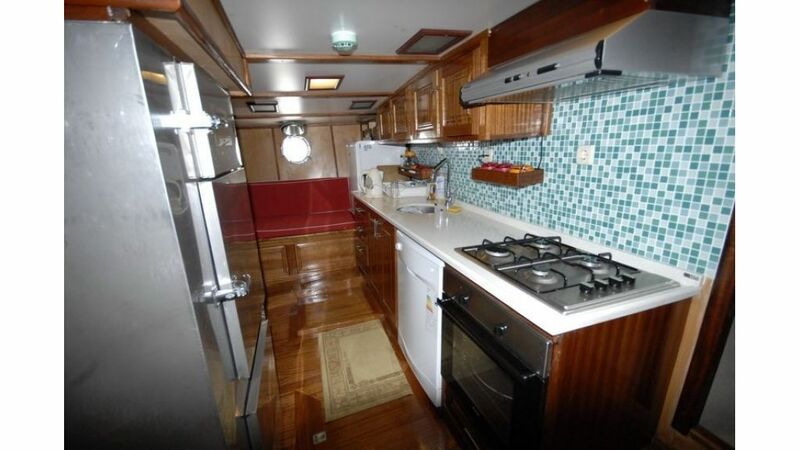 Ideal for family cruising or live aboard .